An oft-neglected space within our homes, the bathroom is undeniably a private room for contemplation, relaxation and serene solace. So why is it so often that our bathrooms fall by the wayside, and miss out on their fair share of fresh design and decoration? Perhaps more emphasis is placed on areas of our homes that are used to entertain, socialise and gather. On the other hand, maybe bathrooms are simply deemed too tricky to rejuvenate. 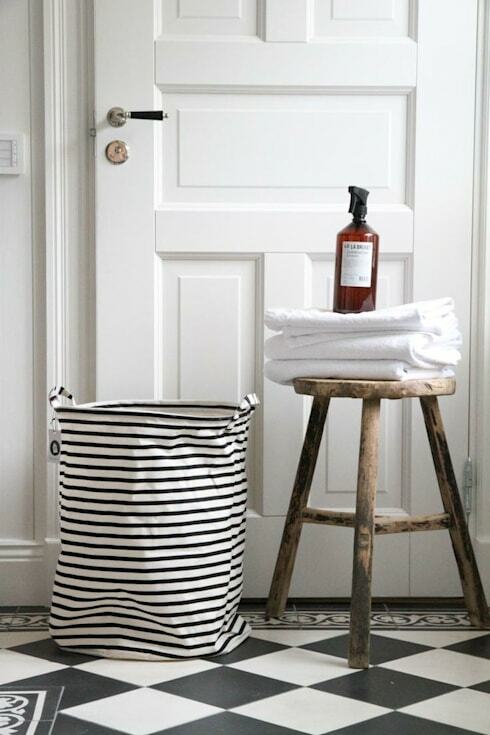 Today on homify we are imploring you to give your wash space a second chance, and to do so we have gathered and collated 10 simple ways you can offer your bathroom a luxe makeover and facelift. From new linen to a complete layout reconfiguration, we're sure we have something for you! Read on to learn more, and transform your space with confidence and style. A simple change that can have a huge effect on the overall luxury of your bathroom, replacing fittings and fixtures will completely refresh your wash space, adding a sense of comfort and innovation. For that extra sense of extravagance, choose a rain showerhead to give your room an updated aesthetic, and a sumptuous impression. Nothing says luxury quite like an oversized bath towel. Bath sheets, as they are known these days, put the opulence back in bathroom design with a sumptuous and expansive aura. Tile stickers are by far one of the quickest and simplest ways to give your bathroom a stylistic overhaul. Simply choose a design that suits your desired ambience, and give your room an instant makeover! Over time tiles and bathroom paint become shabby and undesirable. Fix this with a complete re-tile and re-paint. Sure, this isn't a budget friendly option, but you are assured a complete wash space overhaul. 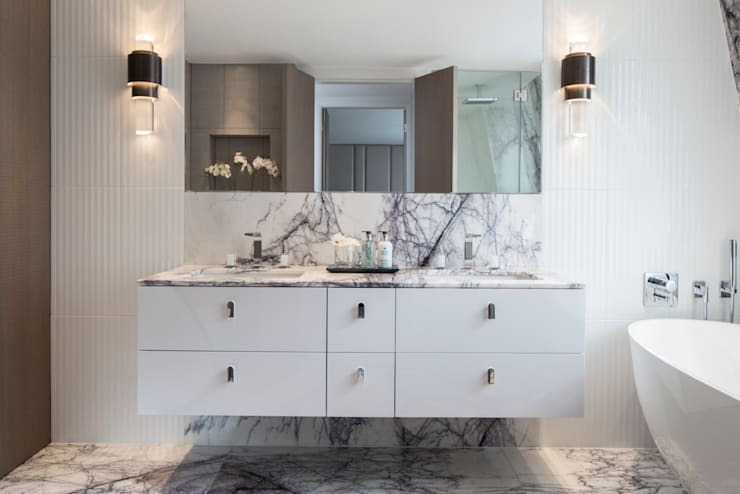 If you require a little assistance in your bathroom overhaul, chat to a bathroom designer via the homify website and get the right advice. Adding a feature piece of furniture can help your space to feel extra luxurious and stylish. 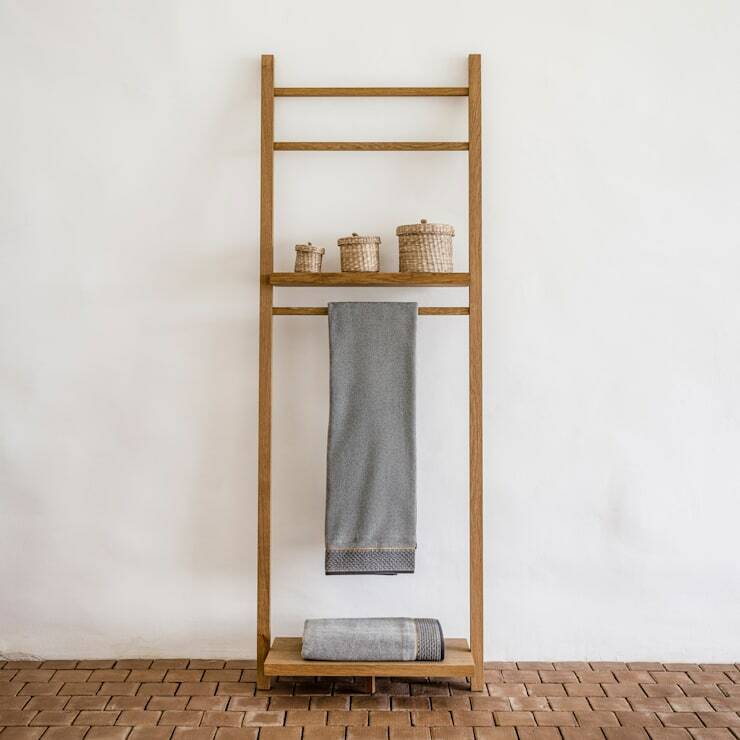 Consider freestanding ladders to hang your linen, or even an upholstered armchair for that extra sense of grandeur and refinement. 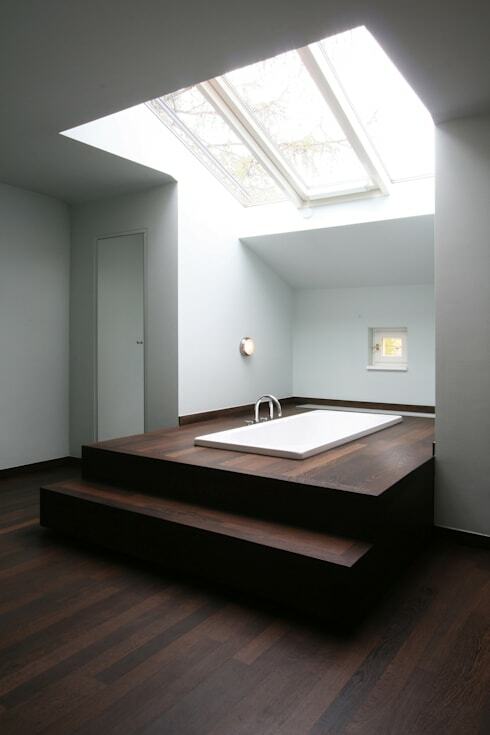 Accessories can make or break a bathroom's aesthetic and appearance. 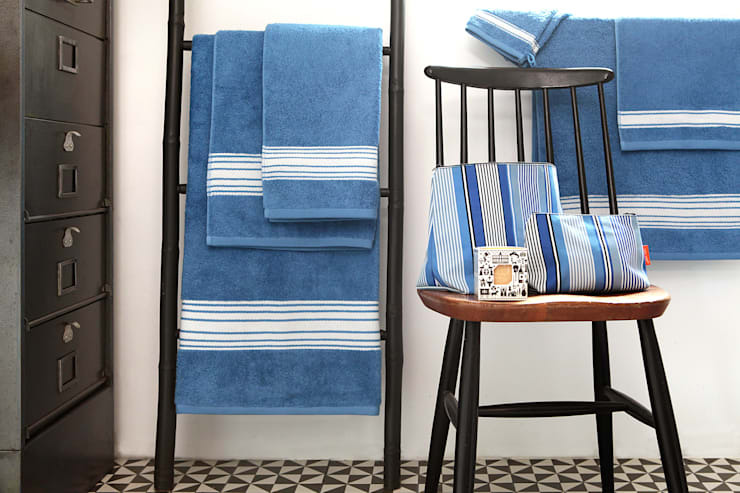 Invest in accoutrements that will enhance your room, and keep it simple with timeless shapes and designs. 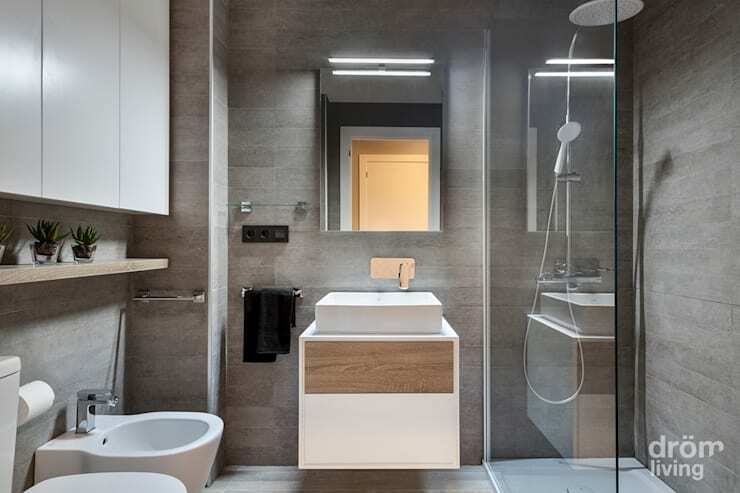 Lighting creates mood within the bathroom, and will undoubtedly help you to achieve the desired vibe and ambience in your space. Look for indirect light fittings, and a low wattage for that sumptuous sense of luxury. No on can deny the luxury of a freestanding bathtub; it is the perfect way to inject class, refinement and elegance within your space, while also offering the ideal place to relax and unwind. 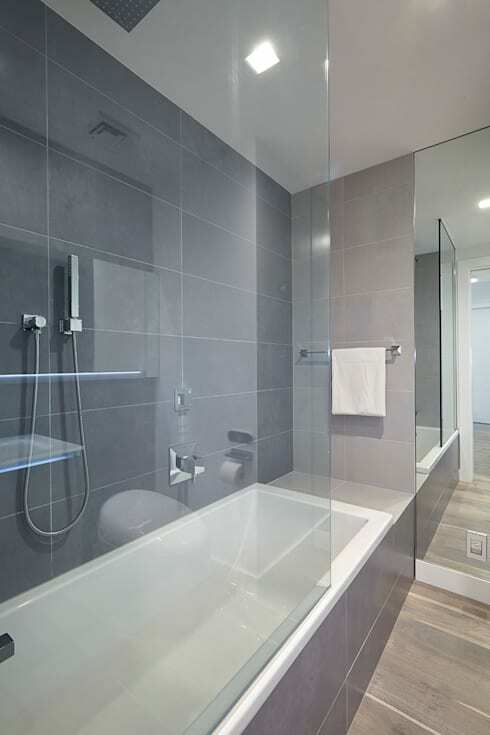 A new shower screen can drastically update your bathroom's ambience, and contribute to a renewed and stylish atmosphere. 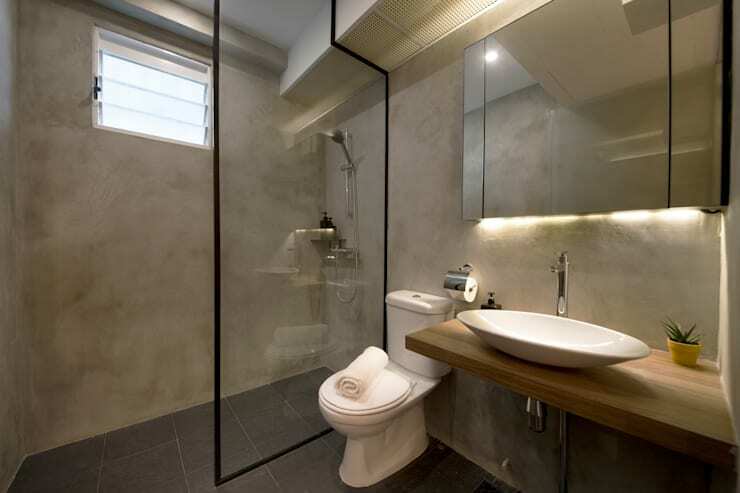 Take some cues from this neat design, and look for glass that is framed in a contrasting or eye-catching hue. Let's face it; in every bathroom the bathtub is the jewel atop the crown. Lavish, luxurious and indulgent, everybody loves an opulent tub to soak, stretch out and sit down. 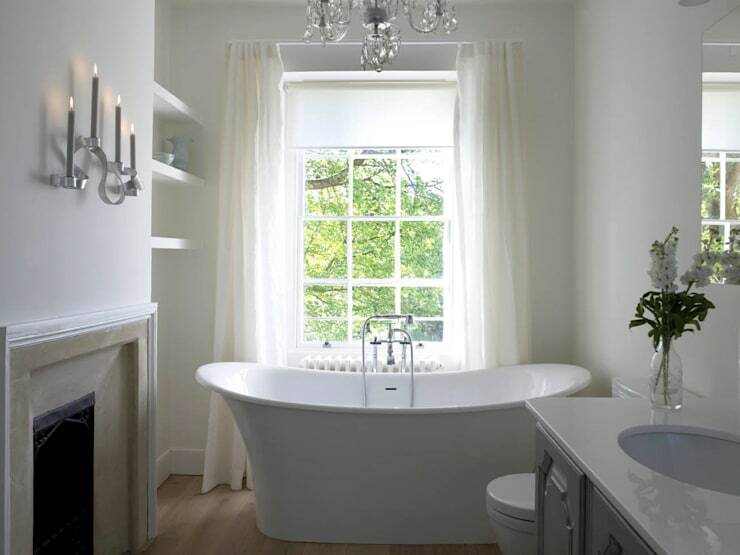 Make your bath the central eye-catching feature within the space, and ensure your room is stately and sumptuous. 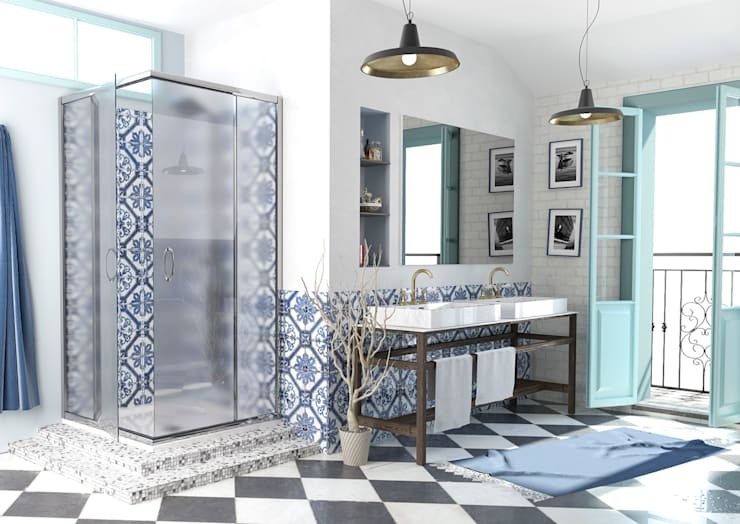 How do you update your bathroom to give it a luxurious touch or an opulent edge? We'd love to hear from you in the comments below!